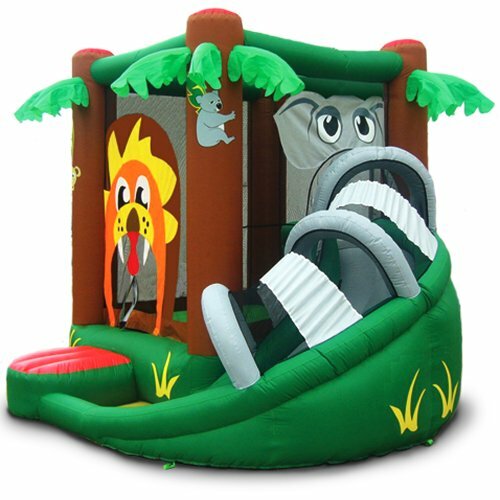 Fun Toddler Bouncing Houses and Bouncy Castles! 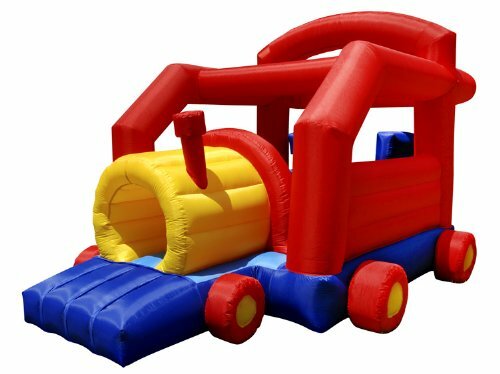 One of the most fun gift ideas for a toddler you can ever think of is a super fun and ultra-cool inflatable bounce house!! Toddlers and small kids LOVE to bounce! My daughter got a fun bouncing house with colorful balls inside when she turned 3 years old and she literally ‘moved in’! She wouldn’t leave it for the world! I am happy to show you a few of the cutest and most fun and colorful bounce houses for toddlers ever created! They are also absolutely perfect for throwing the most fun birthday parties! They usually will fit lots of happy bouncing children inside! Let’s have some ‘bouncing fun’ together here! 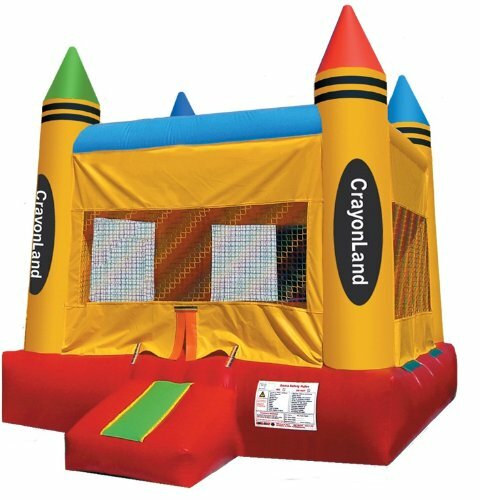 The Magic Castle bouncer is among the most fun and popular bounce houses for toddlers and older children! It is huge and it fits several kids inside of all ages! It blows up in just a few minutes and it is a huge hit in parties! It can also be used indoors on a rainy day, so you don’t have to cancel your child’s birthday party! I think it is a great investment! Also perfect to entertain children at family gatherings! Cute Pink Bouncing Castle for Girls! 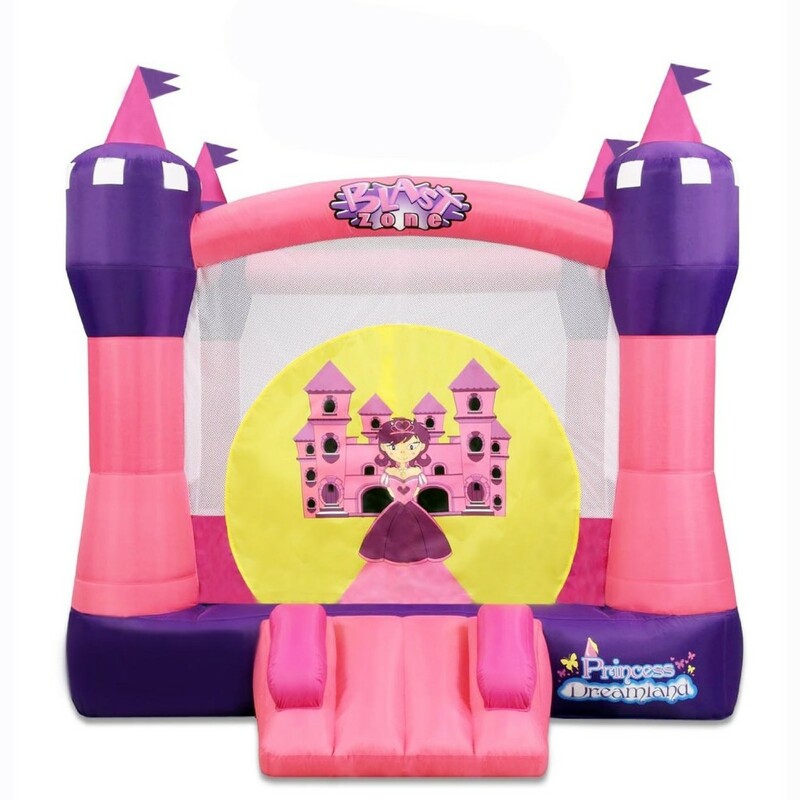 The Princess Pink Castle Bouncer is obviously one of the best bouncing castles for little girls! Can you imagine your little princess having her very own pink bouncy castle? I cannot think of a better gift idea for a little girl! It fits about 10 small children inside at the same time! It looks so much fun that even I wish I could bounce in there too! *Check out this cute pink castle ‘magically’ inflating! 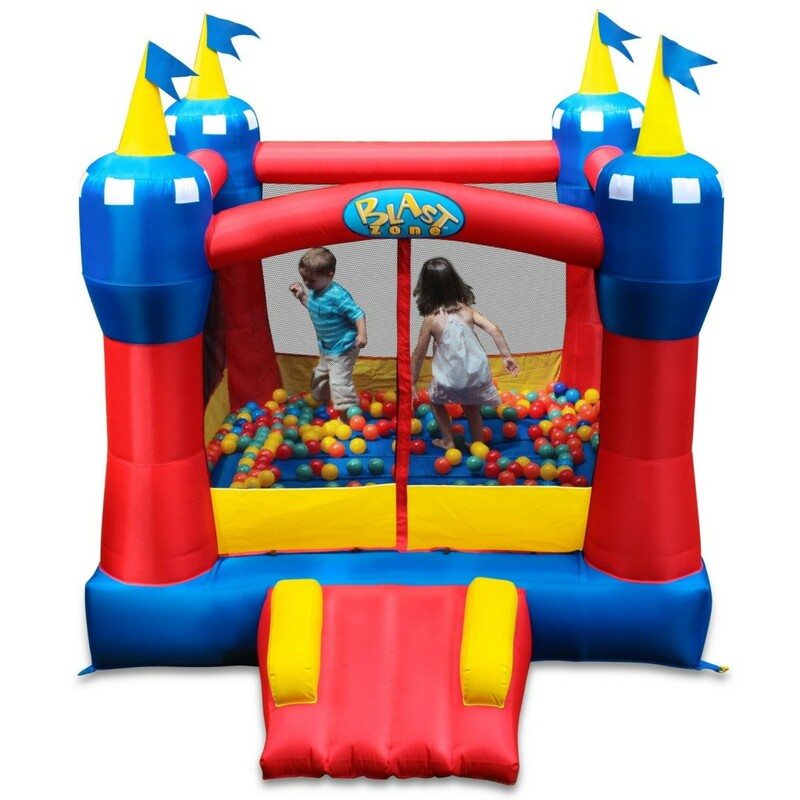 Cutest Inflatable Castle Bouncing House for Toddlers! This cute and very colorful castle bouncer is one of the most affordable castle bouncers for toddlers! It fits three bouncy tots inside, it includes the blower and parents love it!! They love everything about this bouncer, from the gorgeous and vibrant colors, to the quality and great price! It is compact enough to use it indoors as well! Totally approved and recommended by parents and happy toddlers! *This little girl wasted no time in her new castle bouncer! 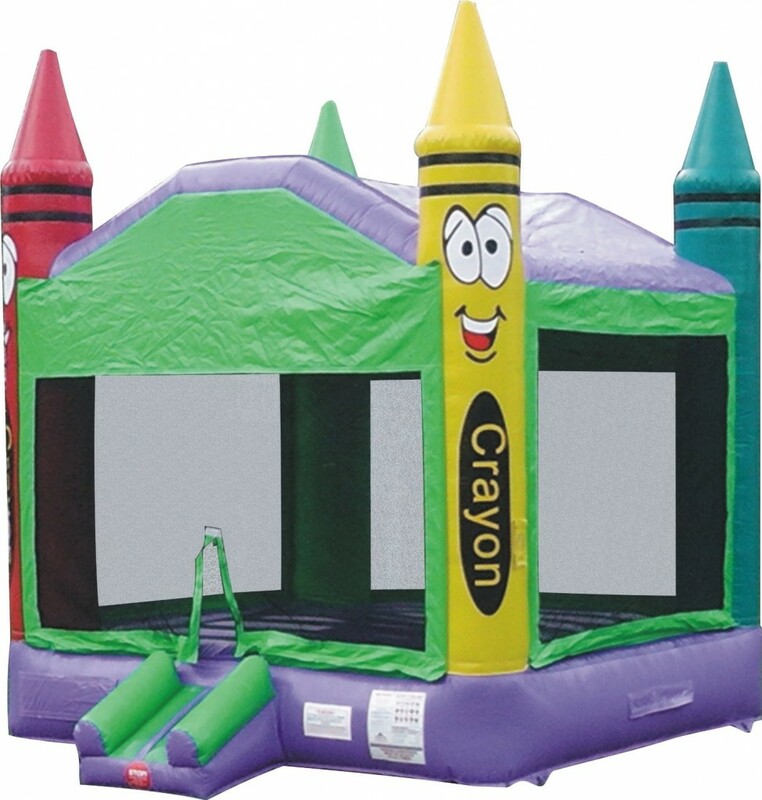 How fun, cute, colorful and unique is this huge crayon inflatable castle bouncer? Can you see your kids in there already? Your child will have the coolest birthday parties ever! Ok, I bet you have never seen a train shaped bouncing house before!! Can you imagine your little boy’s face when you give him this? It got 5 stars reviews by a very happy buyer! He said it was a HUGE hit at his child’s 3rd birthday party! Perfect for children 3 and 4 years old and it is very easy to set up and put away too! Have a wonderful birthday party for your child! *Here is a happy little girl and her baby brother bouncing inside her new train shape bouncer! Another fun, unique and affordable bouncer for toddlers! It’s a Safari themed bouncing house! Parents say it is one of the best bouncers for kids ever! It is compact and very easy to take anywhere! I love the cool slide coming out of the elephant’s mouth! 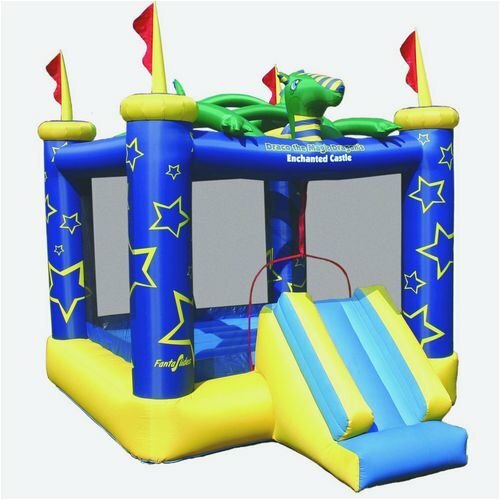 How about a fun and very unique dragon bouncing castle? I bet your little boy is gonna love it! It’s very cool and very affordable too! It fits four children inside and it has a cool slide too! Kids love bouncers with slides! Perfect summer inflatable toy to have in your backyard! 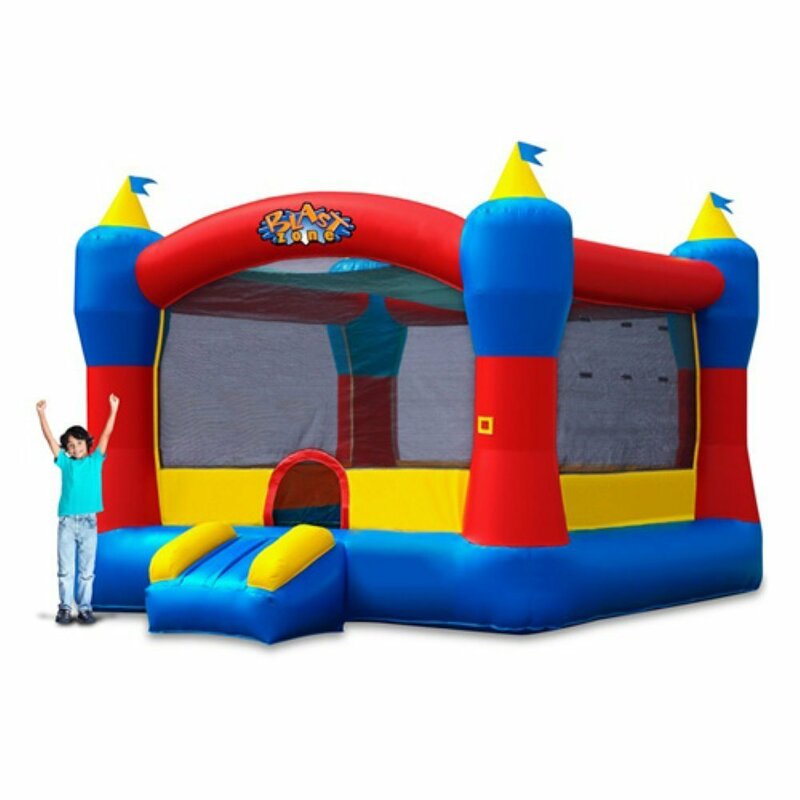 Great Inflatable Bouncy House with Sports Activities! Fun Sports Theme Bouncing House for Toddler Boys! This fun sports theme inflatable bouncing house will make an awesome Christmas or birthday gift idea for any 3 to 5 year old little boy! You can put it in your (large) basement or in your backyard! 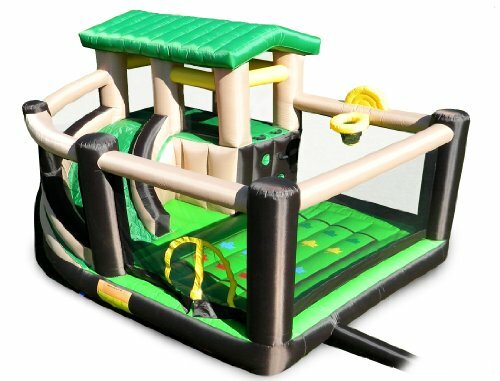 It fits up to 5 kids between the ages 3 and 10 years old bouncing inside at the same time. *Check out the kids having the time of their lives playing inside their new ‘sports’ bouncy house! 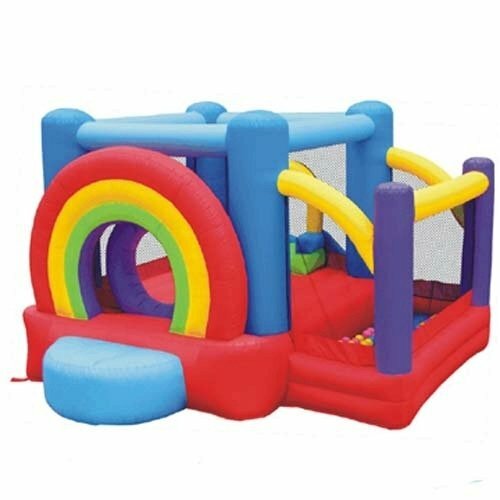 Lucky Rainbow Colorful Bounce House with Play Balls! Who wants to bounce inside a colorful lucky rainbow today? This gorgeous happy rainbow is perfect for a 2 or 3 year old bouncy toddler! It comes with fun and colorful play balls too! My daughter LOVED inflatable bouncers that also had the play balls! *I hope you enjoyed my selections of fun inflatable bounce houses for toddlers! Best Inflatable Water Slides for the Summer!